Today is the start of something fun on the Memories by Digital Design blog. 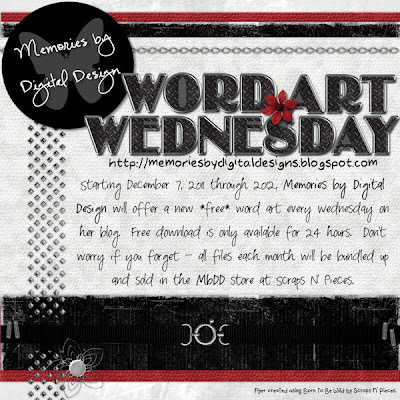 Each Wednesday, a word art will be given to you - free - for 24 hours. Don't worry if you miss it, at the beginning of the following month - all the word arts will be bundled up and sold in the MbDD Store. 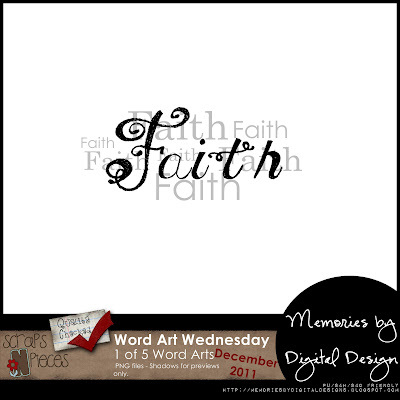 Below is the 1st of 5 free word arts for December 2011. *Image is no longer available for download*. If you missed out, it will be available for purchase with the others this month, after the 1st of the year. How nice of you! Beautiful word art. Thanks!